This conduit has a flexible inner core made from galvanized steel strip of square locked construction and is vacuum jacketed with thin water-tight PVC which does not restrict the great flexibility characteristics of the inner core but also provide high-flex installations. And it can be used in wet, dry, or oily locations in which the conduit is exposed but is not subject to physical damage. Temperature rating: This conduit is designed for a variety of installations requiring motion, vibration and bending. It offers good mechanical and moisture protection to enclosed conductors. The inherent Sunlight UV Resistance of PVC also enables this product to be used in outdoor applications and power transformers wirings. Appliances, auto motive wire & cable sleeving, industrial equipments,medical devices, machineries, general wire conduits, air conditioning/heating and ventilation, telecom and fiber optics. This conduit hose is suitable for use in both static applications where a tight bend diameter is needed and in dynamic use. Our Service Good Service: Our goal is to provide you with courteous, expedient, professional service of the highest caliber. Our service is available for seven twenty-four! Free samples can be prepared for our clients, and the products you buy would be as same as the samples. We will keep regular connection with our clients after sales and look forward to further cooperation. 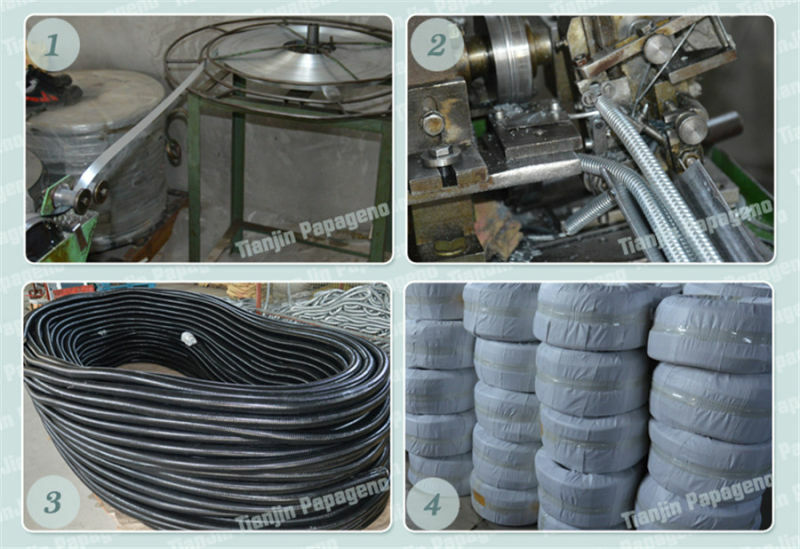 Good Quality: We are professional in plastic hose field. We have strict quality control system and good reputation in mainland and global markets. Fast & Cheap Delivery: We have big discount from the forwarder because of long-term cooperation. No business is small business, so small orders are also welcomed here. Company information Our company is located in Haihe Industrial Zone, Tianjin. With years' experience, we are now a professional manufacturer of industrial tubes and plastic products. Our main products are PVC Steel Wire Hose, PVC lay flat hose, PVC Suction Hose, clear PVC Hose, PVC Garden Hose, PVC fire hose, PVC polyester reinforced hose, PVC High Pressure Hose, flexible air duct, TPU steel wire hose, PA, PE Conduits, drag chains, etc. We have advanced equipment for production and testing as well as a vibrant young elite team. 70% of our products are for export. We have established stable trade relationships with the companies from the United States, Germany, Russia, Brazil, Egypt, the United Arab Emirates and Qatar. Now we are expanding our business to other countries and regions. We have consistently adhered to the principle of "perfecting every details and serving you, making a win-win benefit by joint efforts". If you have any questions, please feel free to contact us. Contact us if you need more details on Waterproof Conduit. 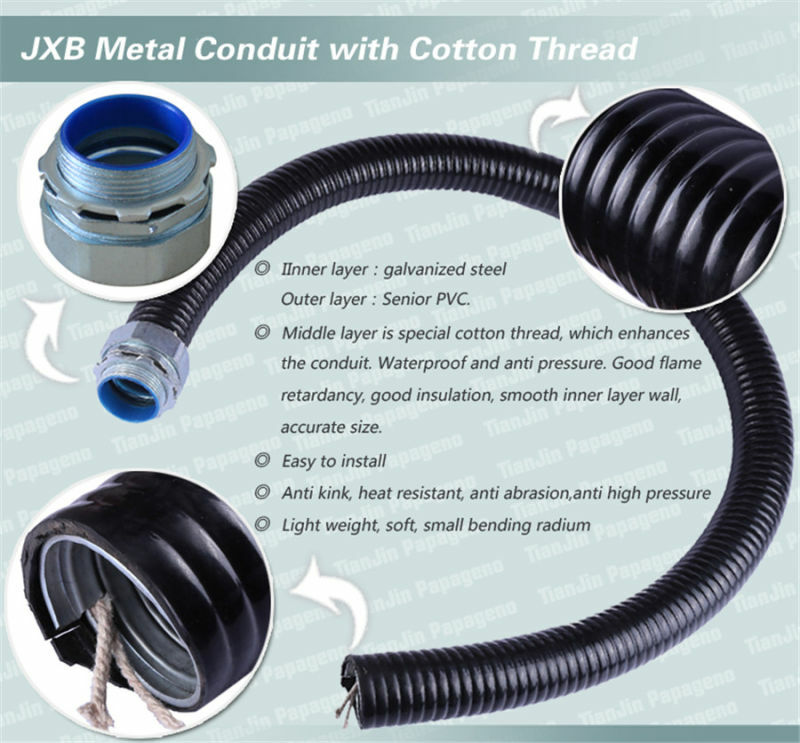 We are ready to answer your questions on packaging, logistics, certification or any other aspects about Flexible Underground Conduit、Waterproof Flexible Conduit. If these products fail to match your need, please contact us and we would like to provide relevant information.